The Rockies are perennial contenders for the swaggiest team in baseball. 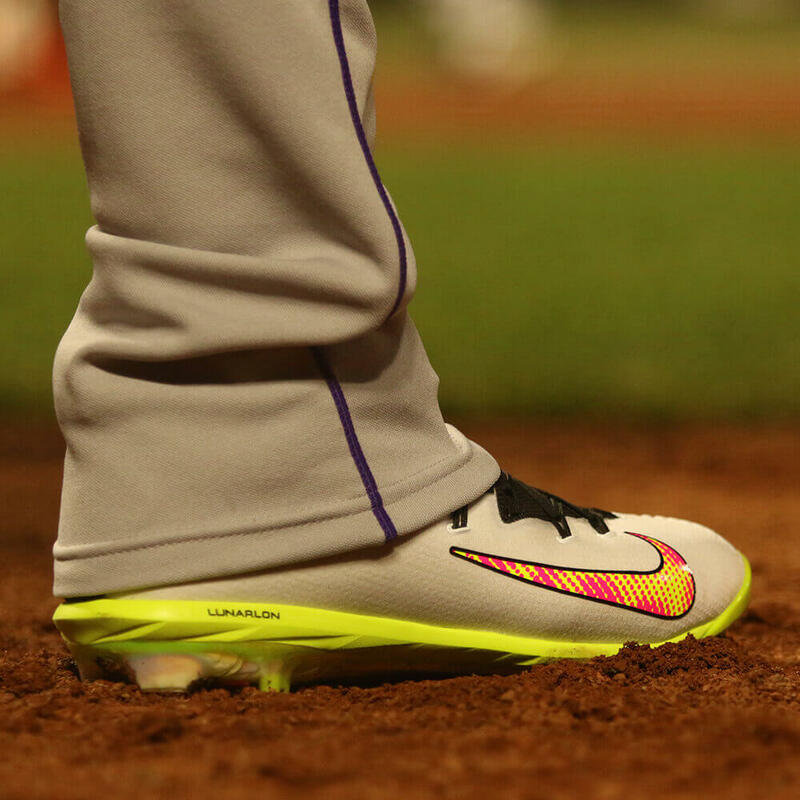 When we visited the Rockies in Spring Training, Nolan Arenado (video below) raised the bar with his Ultrafly cleats, and when we talked to Cargo, he mentioned that he was still waiting for his. We could tell he had something up his sleeve. 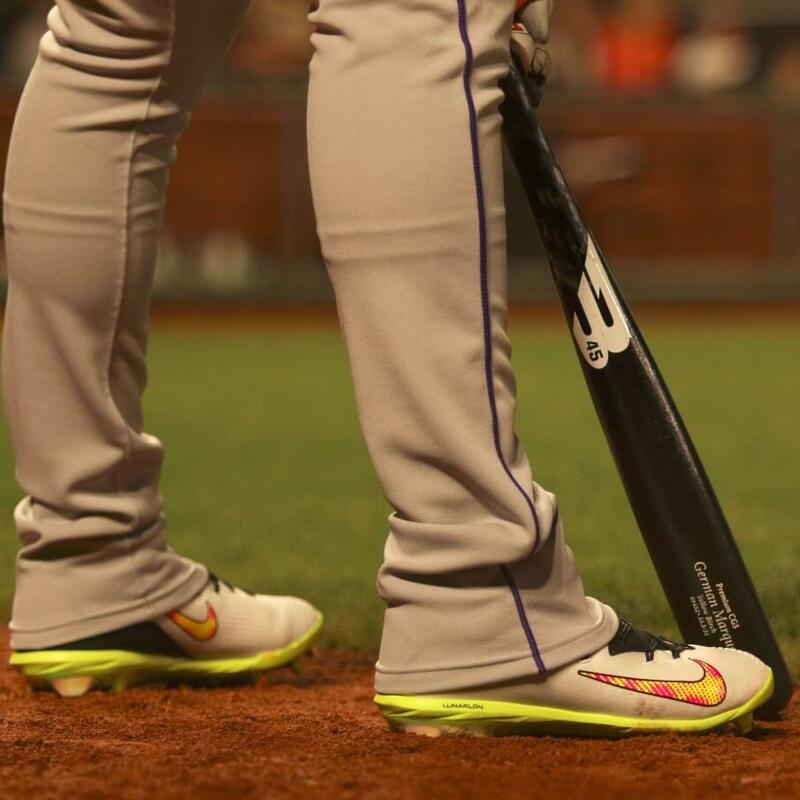 Cargo’s style is always completely unique, and these Vapor Ultraflys are no exception. The half-tone swoosh is borrowed from Nike’s soccer cleats, a style worn by Cristiano Ronaldo, one of Cargo’s favorite athletes. Cargo is always a step ahead. Shop the Vapor Ultrafly at the link. 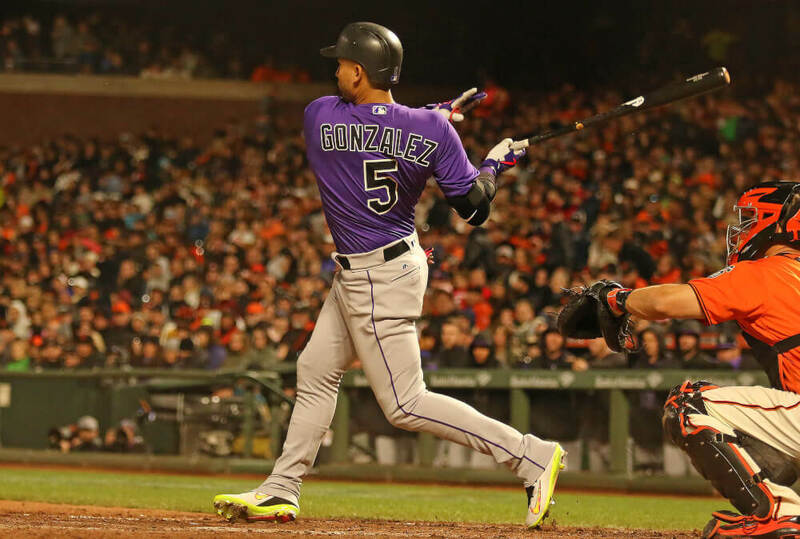 Categories: Gear, Outfield, Cleats, Colorado Rockies, Carlos Gonzalez.